Our Surveying Technology program is the longest running program in Texas, and our graduates go into high-paying jobs working in a vast array of industries. The Surveying and Geomatics Technology program teaches you the basic elements of surveying required of a land surveyor as well as part of the formal training required for professional license. Our program emphasizes boundary surveying and includes history, legal principles of boundary location, evaluating property corners, describing land, calculating land areas, and using the Texas Coordinate System, computer mapping and geographic information systems. You will also study mapping, route surveying, control surveying, the Global Positioning System (GPS), electronic data collection and an introduction to 3D laser scanning. For Students who have a Bachelor's degree: Some students, who wish to become a surveyor, previously earned a bachelor degree and only need 32 hours of surveying courses. These students can earn a Certificate of Proficiency from Tyler Junior College in Surveying and Mapping. For students who wish to earn a Bachelor's degree: The Tyler Junior College Surveying Program is part of partnership program with The University of Texas at Tyler. 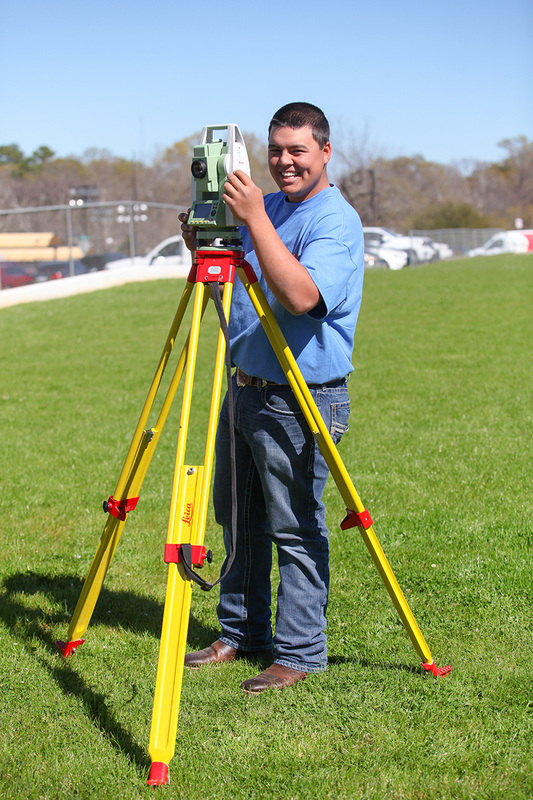 After completing the Surveying degree curriculum at Tyler Junior College and completing the core requirements, one can then transfer to The University of Texas at Tyler to earn a Bachelor of Science in Technology with an emphasis in Surveying and Mapping. Students who are not core complete prior to enrolling at The University of Texas at Tyler must follow the University core requirements. For students who wish to advance their career: Some students only wish to only obtain a Certificate of Proficiency or an Associates degree from TJC and do not intend to get a bachelors degree. This option will provide a great career as a Crew Chief or a Survey Office Technician. A one-year certificate of proficiency is available to students completing certain designated courses. Graduates can enter the workforce as well-trained surveying technicians. The Surveying and Mapping Summer Camp, offered at the TJC main campus, is a public service introducing young people to surveying and mapping activities and career opportunities in the surveying profession. The camp is conducted free of charge to the students who participate. This event will be held 5 p.m. Sunday, June 9th - 6 p.m. Tuesday, June 11th, 2019 for additional information related to this event please contact Willace Johnson, Department Chair, Surveying & Geomatics at wjoh@tjc.edu. To register for this event please use the link below. Work directly with engineers to design the equipment, structures and machines to innovate and solve complex challenges. If you dream in CAD, our Engineering Design Technology program is right up your alley. Environmental scientists use their knowledge of the earth to protect the environment. For students in this program who may have a criminal background, please be advised that the background could keep you from being licensed by the State of Texas. If you have a question about your background and licensure, please speak with your faculty member or the department chair. You also have the right to request a criminal history evaluation letter from the applicable licensing agency.